Steve, can you tell us a little bit about your company and how you operate? We are lucky that we don’t have all our eggs in one basket. In fact, we have a few divisions at our company which include medium voltage, construction, service, and in 2008 we stared an energy solutions division. 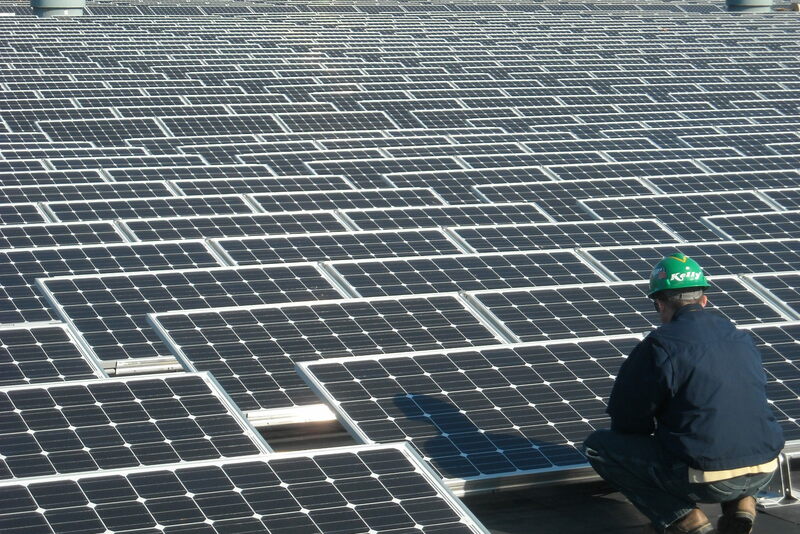 Our focus for energy solutions has been on turnkey solar installations where we manage the entire install and self-perform the electrical portion. 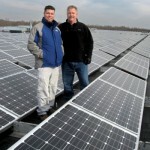 Your company recently passed the 30 megawatt mark for installed solar. What does that mean for Kelly Electric, and for the DC region? 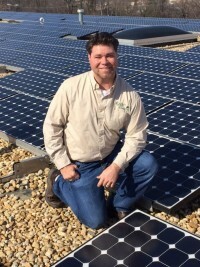 Steve Skolnik, one of our vice presidents, started us down the path in 2008 with a vision of what would be happening in the solar industry by having us install a 150 kilowatt system on our roof in Upper Marlboro. Steve has since retired but I’m very happy that we have continued on and been able to be a big part of many projects in the DC, MD, VA region. 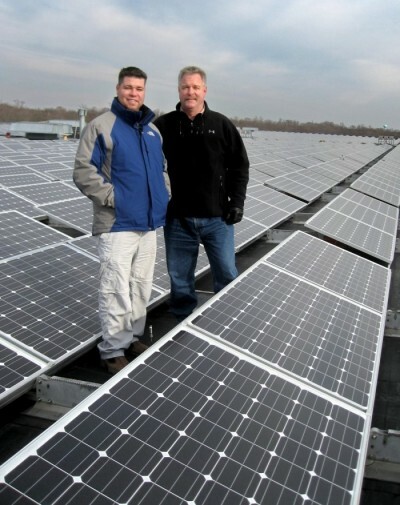 Our own roof mounted solar array really was the start of something special and I’m glad my father, Steve Kelly Sr., gave me the freedom to go explore this new world and see what we could develop. The industry standard says that one megawatt of solar power equals about five acres of land use, so passing 30 megawatts was a pretty big deal for our team. That’s a lot of clean power being produced! The systems we’ve installed since 2008 have drastically grown in size, the largest being a 6.6 megawatt ground mounted array. On a personal note, I am glad to see that the hard work we’ve put into chasing down these projects is really starting to pay off and it looks like there will be many more to build into the future. Your company just finished four large installations for Target retail stores in Maryland, what was that process like and are you seeing more corporations and companies adding solar panels? The four Targets we just completed equaled over 2 megawatts total, which helped to put us over that 30 megawatt mark. There are a lot of good “Solar Integrators” / EPC’s out there who are developing these projects that we get to build. Since my job is to work closely with these integrators I would definitely say that many big corporations, schools, universities, and land owners are starting to become more aware of the benefits and savings of solar. Some of the integrators/EPC’s we have been privileged to work with include Constellation, Standard Solar, Ameresco, Solar City, and Lend Lease just to name a few. We are lucky that these organizations see a benefit in working with a company like Kelly Electric. What are the greatest benefits to using solar? Just speaking as someone who is utilizing a PV system for our own power (not a developer) I think the first and most important benefit has to be what we’re doing for our planet and future generations by creating clean power. As cliché as it sounds it really should be one of the driving factors for all who are getting involved. The next benefit would have to be the savings it creates for the end user. There are government incentives and prices of panels and materials have come down which is continuing to help the industry. 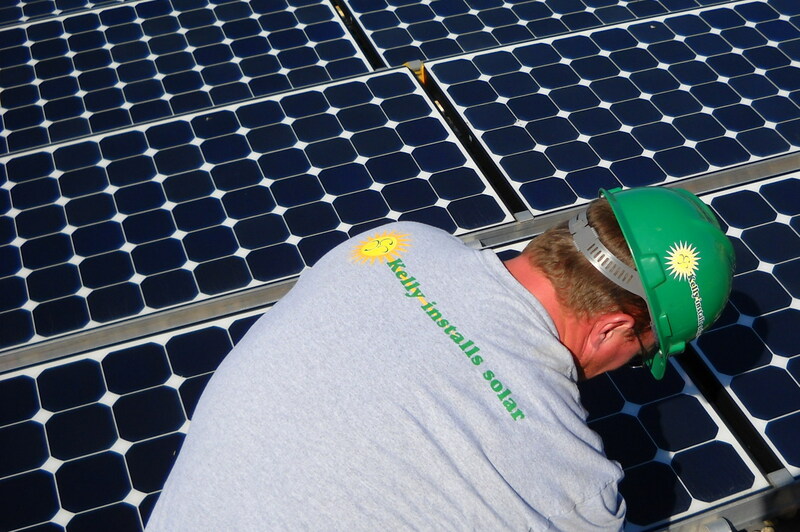 Developers are also able to offer different options in the way a solar deal is done. People have the ability to choose if they want to own a system or enter into a Power Purchase Agreement*, in which they have no out-of- pocket cost. It makes it nice because it is not necessarily a “Yes” or “No” decision but more of an “A” or “B” decision. 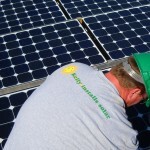 *The Solar Power Purchase Agreement is a financial agreement in which third-party developer owns, operates, and maintains the photovoltaic (PV) system, and a host customer agrees to site the system on its roof or elsewhere on its property and purchase the system’s electric output from the solar services provider for a predetermined period. What are some of the strengths that has allowed Kelly Electric to continue to be successful in the Solar installation market? I think whenever you have success in something you have to look at the people around you. Kelly Electric has amazing, dedicated, and hardworking employees. We have managers that understand the industry, project managers who understand how to achieve goals, and great foreman and electricians who care about building a successful project in a safe manner. 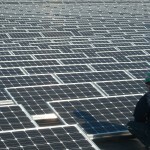 Also, another strength has been our ability to adapt in the solar installation market. We’ve been able to figure out the best portions of work to go after, find good subcontractors, and figure out how to be competitive. Lastly would be our overall knowledge and safety practices. We spend a lot of time educating and training our employees on the correct safety procedures. It’s important to be overly cautious especially since the solar world is still so new. I think it gives owners peace of mind when they see us—a company that has been around for 30 years showing up on site. We’ve been lucky to hit this milestone but it doesn’t stop there. We can’t wait to see who is going to be next to develop a solar array so we can try and be part of a team that’s building projects that will benefit future generations.